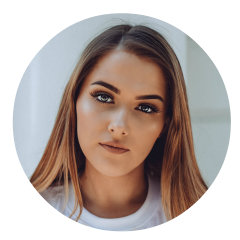 If you think how much gunk goes into your make-up brushes then you put that onto your face the next day, while your brushes are just sitting out in the open with all of that bacteria to attach to the gunk which you then put on your face... ew. 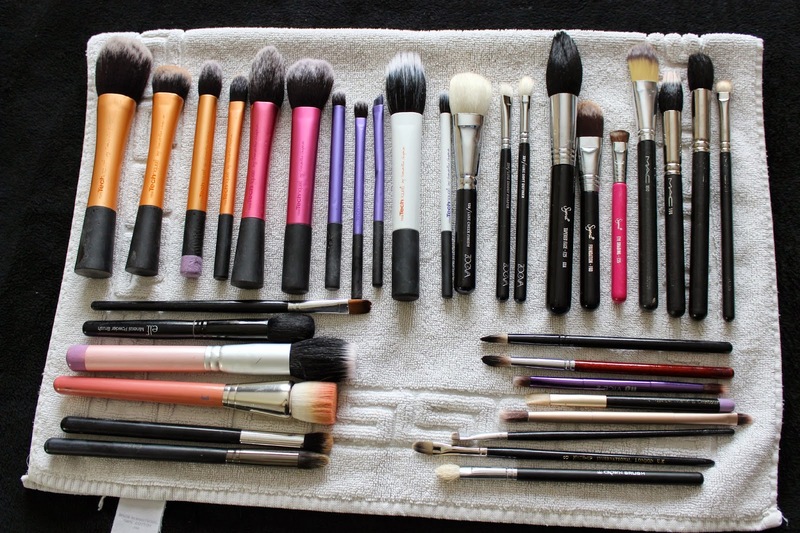 Cleaning your make-up brushes regularly is so important, not only does it save you having to put eye-shadow on with your finger because all your eye brushes are covered in dark eye-shadow, but it prevents skin break outs because it's lessening the amount of bacteria that's going on your face. Ooooooh don't they just all look so pretty and clean! I'll admit cleaning my make-up brushes is probably my least favourite part of the whole beauty regime, it's tedious, boring and my hands go all wrinkly! You wouldn't leave all your hair on your hairbrush all the time, the leftover toothpaste just left on your toothbrush now would you? So let's get it over with ladies (and guys)! 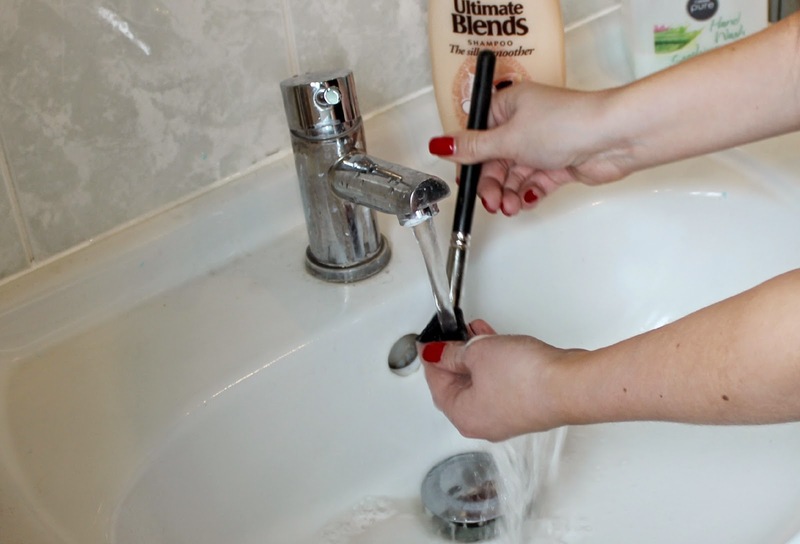 Run the warm water from the tap and dampen your brush, being really careful to not get it past the second part of the ferrule as the hot water will seep in and melt the glue - causing the bristles to fall out. Swirl the tip of the brush into the shampoo and begin to massage it into the especially dirty areas till no extra colour remains. Simply rinse off and gently squeeze into shape, leave to dry on a towel. I hope you found this useful and that it inspires you to get cleaning your brushes! I haven't cleaned my make-up brushes! I am THE worst. But I'm saving this post and I'm going to do it this weekend!